It's Day 15 Of Strolling Into Spring, Hope Everyone Is Enjoying All Of The Reviews & Giveaways So Far! 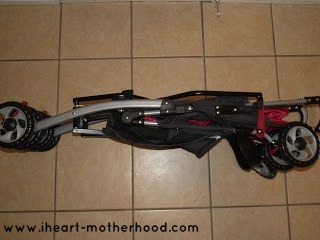 Today I Am Introducing You To The First Years Ignite Stroller In Red Stripe! We've Really Enjoyed Having This Light-Weight, Easy To Use Stroller Around! From The Day It Arrived It Has Been A Breeze, It Took Seconds To Put Together Once Out Of The Box & I've Already Taken It To The Park & The Mall, This Stroller Fit Perfect Into My Busy-On The Go Lifestyle! 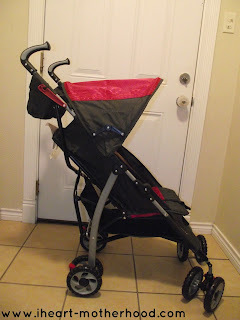 The First Years Ignite Stroller Is Durable, Has A Wider Seat Base & Holds Up To 50 Pounds, I Couldn't Believe What I Was Reading! 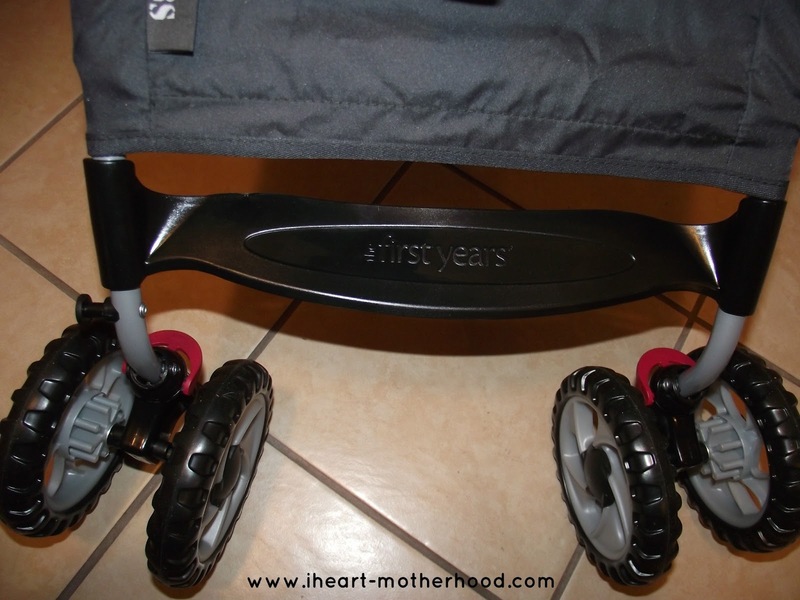 My Oldest Child Weighs 40 Pounds, So Not Only Can My Little Princess Toddler Ride Comfortably In This Stroller, So Can My Seven Year Old Son! Featuring Taller Handles, A Removable Canopy & A Simple To Use Recline Position, Your Little One Might Just Want To Take A Nap While Your Out & About (Or We Can Only Hope!). Want Added Safety? 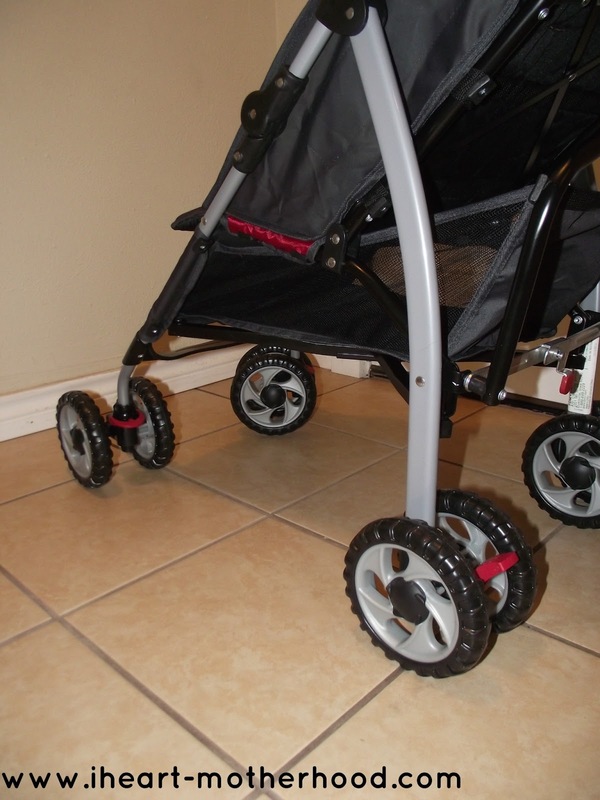 Not To Worry, This Stroller Features A Five-Point Harness To Make Sure Your Child Is Securely Seated & Eight Larger Wheels Allows You To Stroll & Glide Over Any Surface With Out Any Issues! Did You See The Large Upper Storage Console? Not Only Can You Bring Your Water Bottle With You On That Walk To The Park But There Is A Zipper Compartment For Your Keys, Cell Phone, Etc! With Mom In Mind, The First Years Has An Underneath Storage For Your Purse, Diaper Bag, Extra Blankets Or Whatever Maybe Needed In Your Outing! 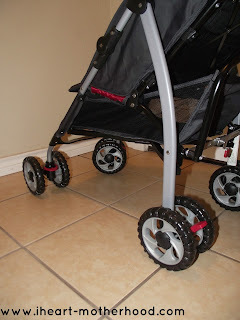 When Your Ready To Put Away Your Ignite Stroller The Rear Wheel Brakes & Front Swivel Locks Allow It To Say Into Place & It Folds Together With One Hand! Currently It's Being Stored In The Back Of My SUV, With A Weight Of Only 14 Pounds, The Stroller Has Been A Breeze Taking In & Out Of The Car! My Daughter Has Been Enjoying Strolling Everywhere! Isn't She Cute!? 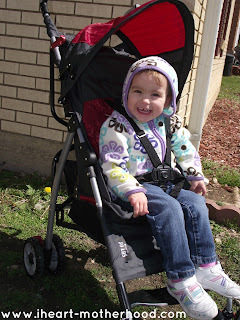 Even My Mother Asked To Borrow The Stroller Next Time She Babysits Little Sister C! Woohoo! Buy It: Purchase Your Own The First Years Ignite Stroller Online! 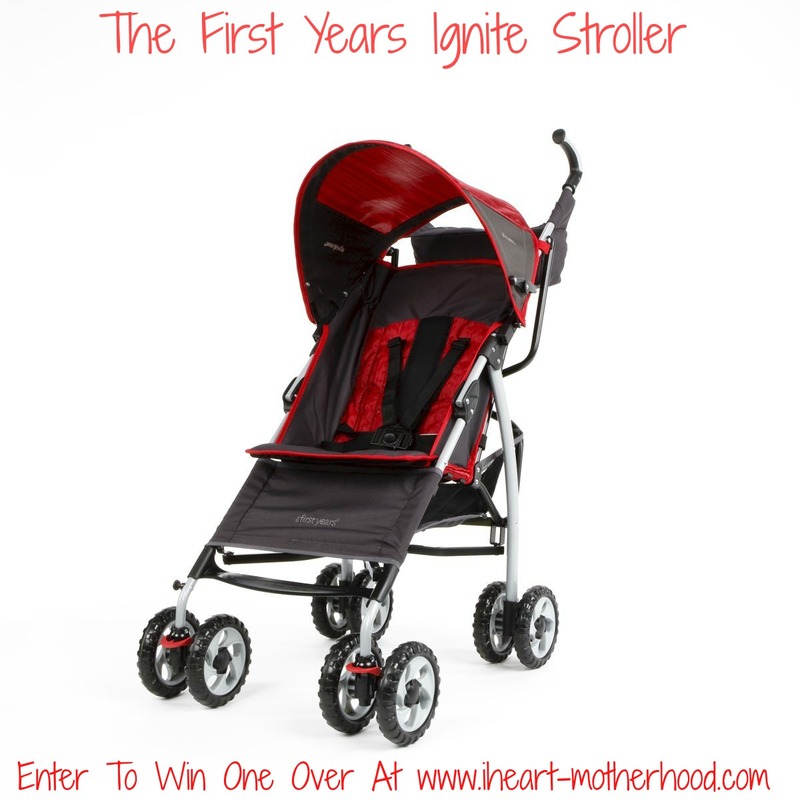 Win It: One Lucky Reader Will Win A First Years Ignite Stroller! 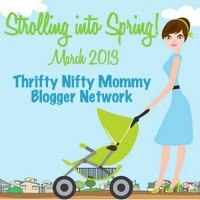 (I Am One Of Several Bloggers In The Thrifty Nifty Mommy Blogger Network By Janessa At Thrifty Nifty Mommy. I Was Sent The Item Above For My Review, All Opinions Are My Own! I would like the home and away portable digital video monitor. Another product I would like is a new monitor and that Home & Away Digital Video Monitor looks awesome! Another First Years product I want is the Home & Away Digital Video Monitor. Looks great! Love the home and away digital video monitor. We've never had a baby monitor but Ive always wanted a video one. (#3 due in June) My husband always deploys right after we have a baby so I think its cool he could see him using skype! Would love to have the sippy cup pack!! The home and away digital video monitor looks super cool. I've really been wanting a video monitor, so I'd love to have the home and away portable digital video monitor. Their home and away video monitor would be fantastic gift for my expecting cousin!! 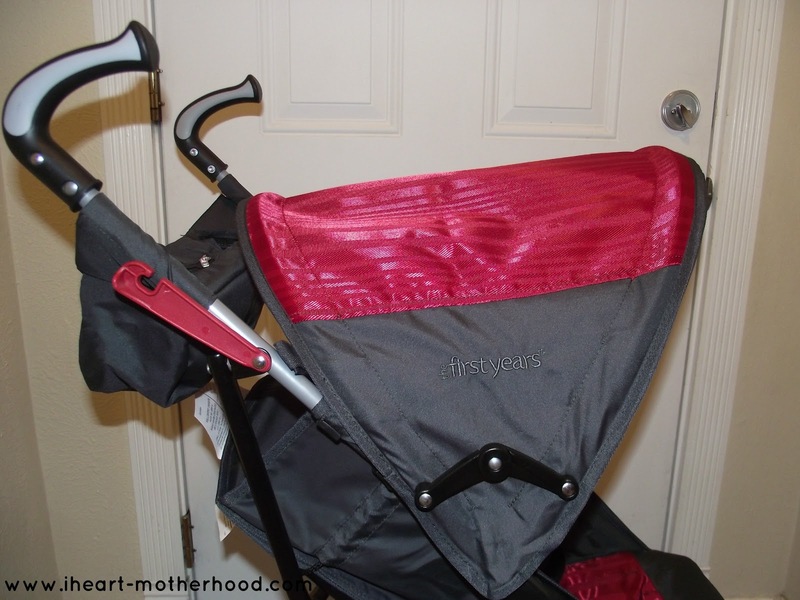 I need the True Fit Recline Convertible Car Seat - Sticks & Stones. Daddy needs a convertible since baby has almost outgrown the infant car seat he currently has! I would like the True fit convertible car seat in Spiro. We need a bigger seat. We're about to start potty training so I'd love to try the First Years 4-in-1 Potty Training System! 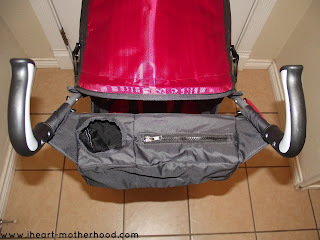 I'd love the carry me near 5 in 1 bassinet! I would love the True Fit Recline Convertible Car Seat~! I would love the home and away portable digital video monotor! It is so briliant! I love that you can monotor your baby while away with skype. What a great feature! I would like to try their deluxe reclining feeding seat. I like the mipump breast pump. I really like the Home and Away Monitor! I would like the True Fit SI - Pop of Teal car seat. I like the Deluxe Reclining Feeding Seat! i really like the home and away video monitor. Love the ability to look in on him even if I'm not home! I would love the True Fit Recline Convertible Car Seat - Spiro. I'd really like the miSwivel feeding chair! I visited the First Years and I would love to have MiSwivel Feeding Chair. 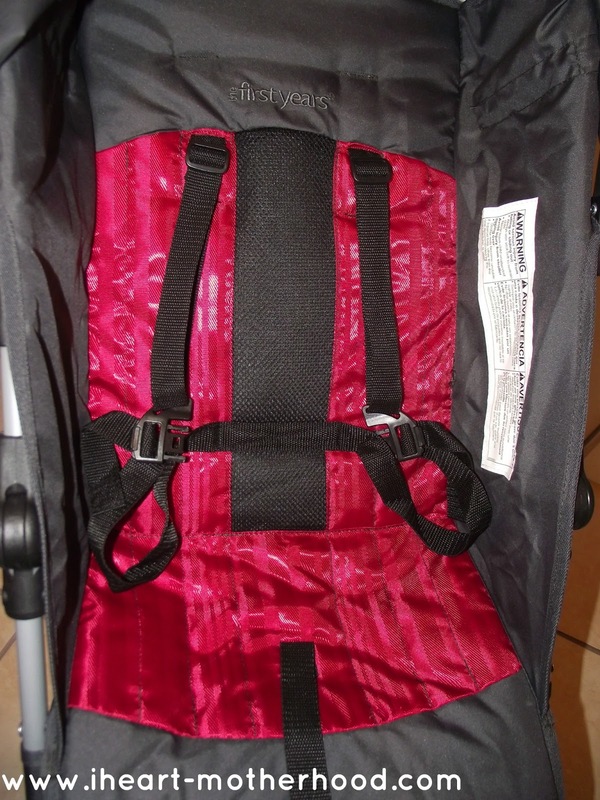 I like the tru-fit convertible carseat. I need two gates, I like the extra tall one! I'd like the extra tall decor gate or hands-free gate with extension. I'd like the indigo storller! Would love the True Fit Recline Convertible Car Seat - Abstract Os! I would love to have the Home & Away Portable Digital Video Monitor. I'd also love to have their home and away portable digital baby monitor! I would love the Home & Away Digital Video Monitor. 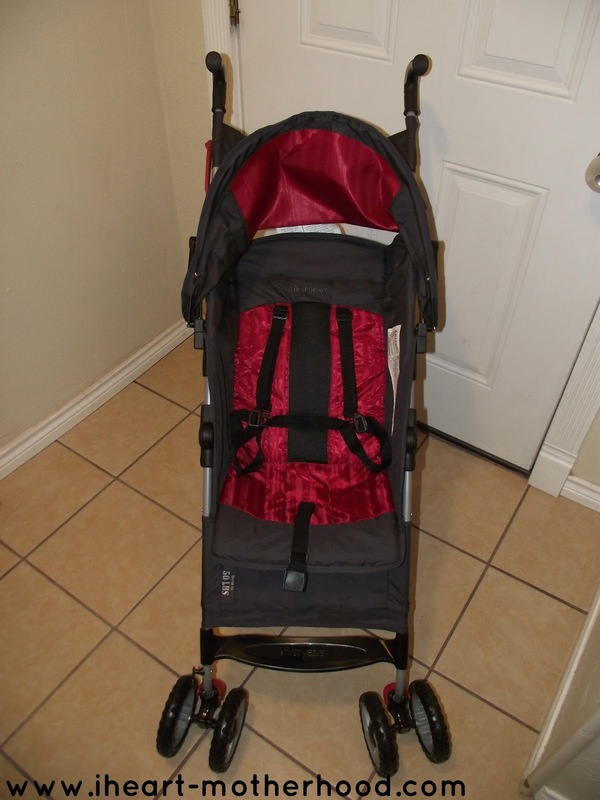 Looks like a well constructed stroller that offers lots of comfort and room. Very nice!